Located 1,000 light-years from Earth in the constellation Perseus, a reflection nebula called NGC 1333 epitomizes the beautiful chaos of a dense group of stars being born. 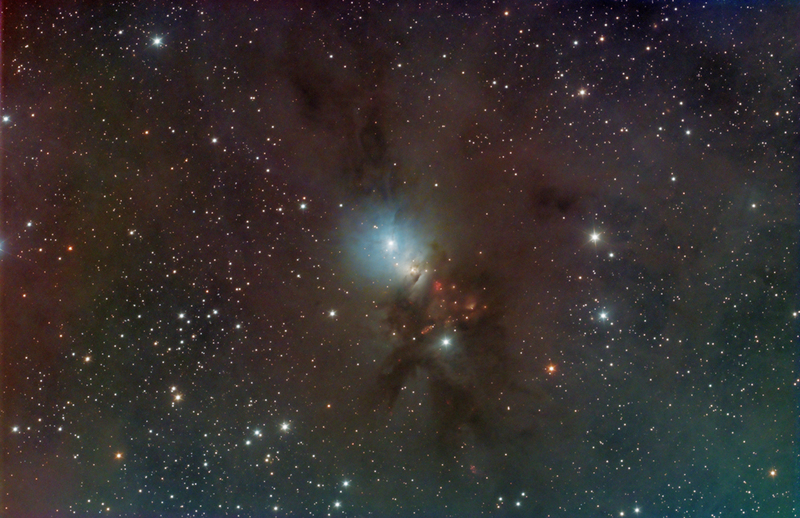 Most of the visible light from the young stars in this region is obscured by the dense, dusty cloud in which they formed.The young stars in NGC 1333 do not form a single cluster, but are split between two sub-groups. One group is to the north near the nebula shown as red in the image. The other group is south, where the features shown in yellow and green abound in the densest part of the natal gas cloud. Difficult target for an OSC camera in a highly polluted area. Hope the color balance is OK.